Happy Monday you glorious lot! I'm hoping that you all enjoyed your sunshine filled weekends. I spent pretty much the whole of mine dressed as I am in this post - dressing gown clad trying to convince myself that detoxes are seriously fun for a Saturday night. Update on the detox: didn't go so well. SO anyway. I have been trying for a good 6months now (probably more) to master the art of contouring. HOW do some girls make it look so easy?? More often than not, and especially when I'm in a rush, I settle for a dab of bronzer and I'm on my way. 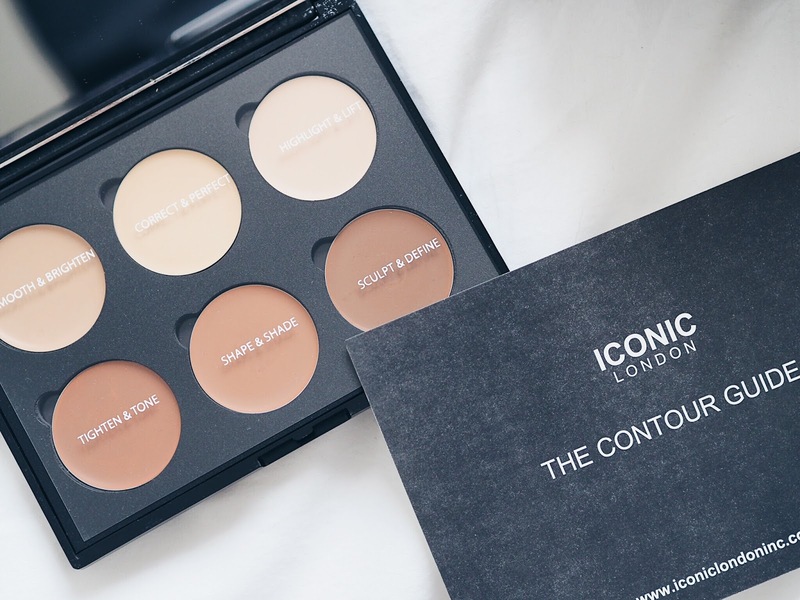 That was until I tried this Cream Contour palette from Iconic London. 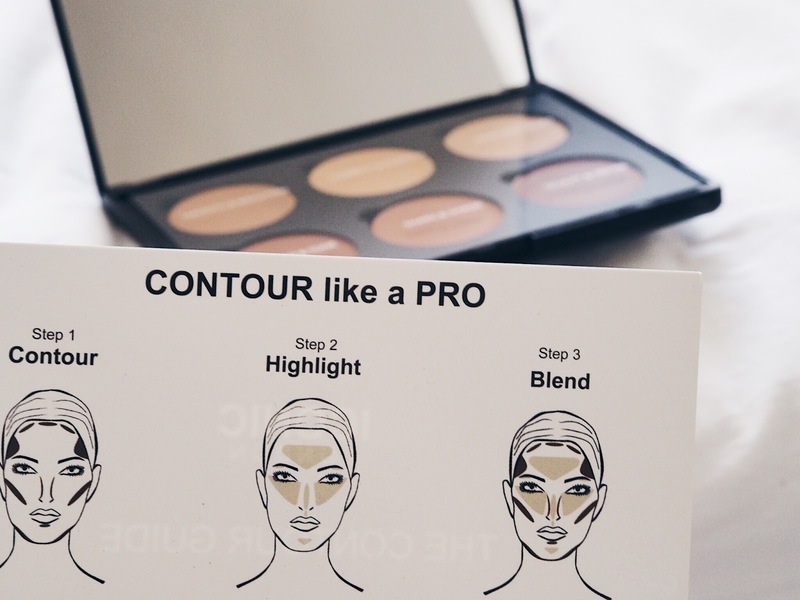 Not only does it give you a clear breakdown of the different elements of the set, but it comes complete with an easy 3 step guide to sculpting your face. 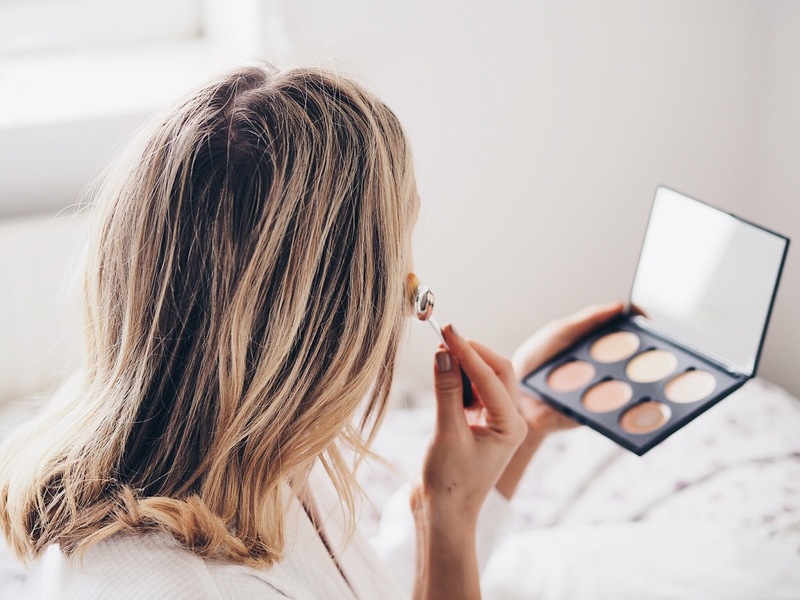 The palette is so creamy which makes it really easy to blend, whether you're going for a subtle day look, or getting ready for a glam night out with the girls - Iconic London have you covered. 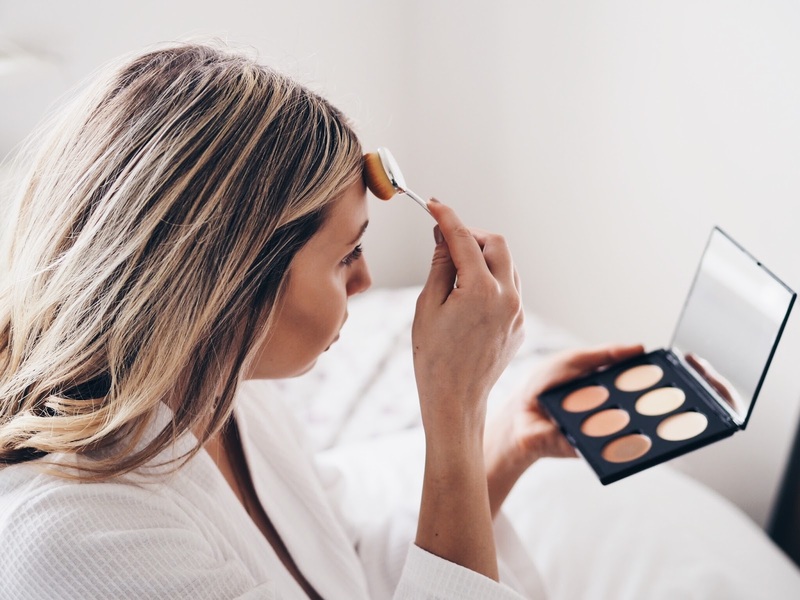 It is also a major plus for me when my makeup includes it's own mirror (what else am I supposed to do when I'm on the go?!) so this palette is a dream as it has SUCH a big mirror included. 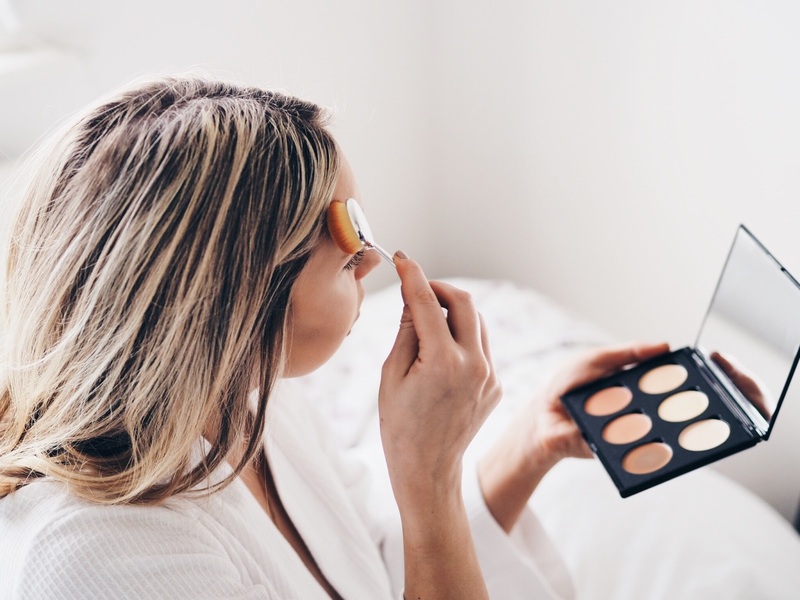 I completed my look by using the Strobing Stick which seriously helped to illuminate my cheekbones and really make them pop. I have no idea how I have even made it this far without these items in my makeup bag. This new approach to makeup has given me some serious Monday motivation. 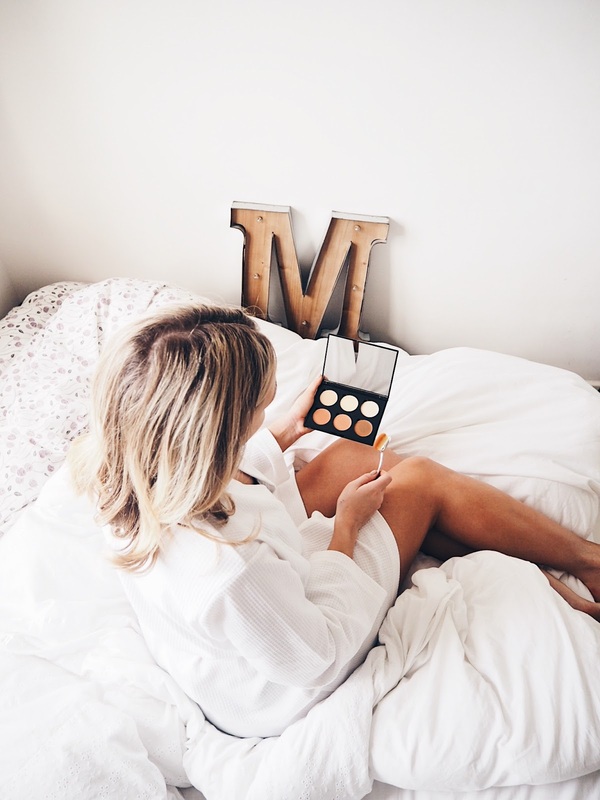 Now that I feel that I can finally conquer the contour, I am ready to tackle my week head on...who's with me?! This post is in collaboration with Iconic London. doing makeup is my all time favourite hobby but ive always had trouble with contouring but not anymore! 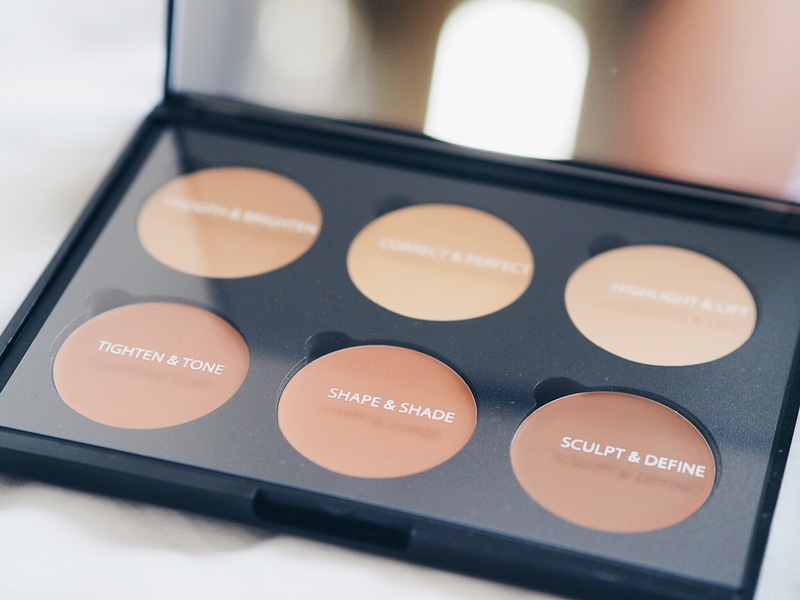 with Cream Contour palette from Iconic London i do my contouring with ease as it breaks down all the steps for you! The Horse Racing Radio Network Breeders Cup 2018 Live Stream is your home for Eclipse Award winning inclusion of the greatest occasions in hustling consistently. In 2018, HRRN will communicate in excess of 125 stakes races from courses over the United States and around the globe. HRRN is the official radio system of the Kentucky Derby, Preakness, Belmont Stakes and Breeders' Cup World Championships and produces a progression of famous television shows disclosed during the time on SiriusXM satellite radio: Xpressbet Radio on HRRN (Wednesday - Friday, 3-6 p.m. ET), Jock Talk displayed by Tito's Handmade Vodka (Tuesday, 6-7 p.m. ET), Trainer Talk exhibited by Fasig-Tipton (Wednesday, 6-7 p.m. ET), Brisnet Call In Show (Thursday, 6-7 p.m. ET), Weekend Stakes Preview introduced by NYRA Bets (Friday, 6-7 p.m. ET) and the Equine Forum (Saturday, 8-10 a.m. ET). Australian-claimed Torcedor is still on focus for the Melbourne Cup 2018 Live regardless of completing toward the end in Sunday's Group I Preis Von Europa (2400m) at Cologne. In his first begin since being acquired by Australian Bloodstock, Torcedor began chances on however was failing to travel like a champ and in the wake of going under weight 600m out dropped out to be beaten 24-1/2 lengths behind Khan. Coach Andreas Wohler told the Sporting Life the six-year-old was not upbeat in the going, which was recorded as delicate. "The ground is frightful and he didn't care for everything. He was beaten after about a furlong, I think." Wohler said. "Jamie (Spencer) said he kept running on delicate ground a year ago, however delicate ground is altogether different to the loathsome ground we had here today. "That (Melbourne Cup) is as yet the arrangement. He needs to go into isolate one week from now. "I figure he will presumably go directly to the Melbourne Cup and Jamie will ride him. That is the reason he came to ride him today." Torcedor is still evaluated a $15 chance by Sportsbet to win the 2018 Melbourne Cup. You can watch the race in full underneath, Torcedor in the blue coat, highly contrasting check sleeves.